Reading is good, right? It enlightens and informs and opens up new worlds to us? It takes us on journeys and makes us feel good. I’m definitely one of those people who wholeheartedly subscribe to the maxim that, “The reading of all good books is like a conversation with the finest minds of past centuries“. I also like to run in my spare time, but I find climbing inside a good book is a little less demanding on the ageing achilles and a lot more enriching for the mind. Which gets a pretty good work out too. 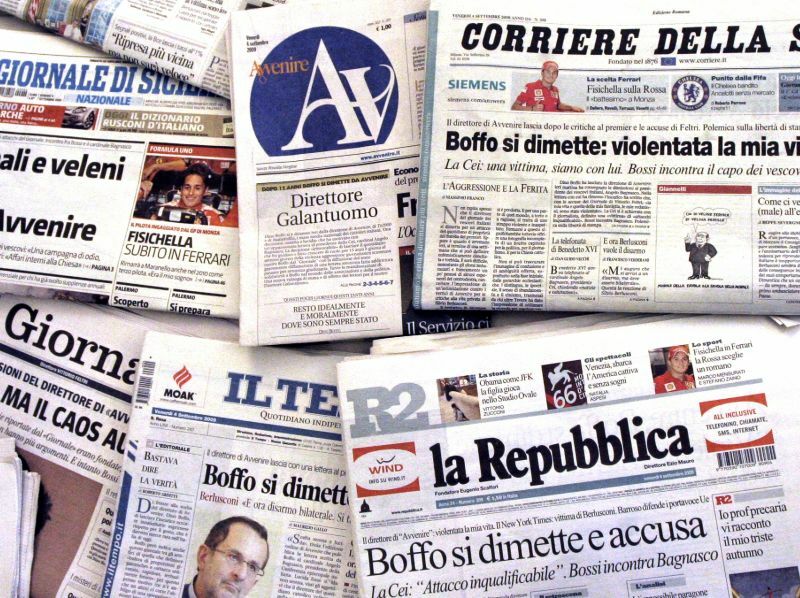 Today I was reading an Italian local newspaper (I know, not a book, but still words on a page) and instead of feeling all nice and warm and fuzzy, it made me want to roll up the paper and bang a certain Salvini, Farage or similar foreigner-bashing politician on the head with it. Certainly not one of those “keep calm, read a book” experiences. I won’t bore you with the details because I think just mentioning Nigel Farage and foreigners in the same sentence is too much publicity for a xenophobe in a suit. As I said before, books are always the answer. So maybe I was reading in the wrong place? Back home, I scanned the tomes piled up on my desk for something more soothing that would prove that not everyone is bad. That humanity is more than corrupt politicians, mafia bosses, swindling public officials, self-appointed elite and immigrant-hating Italians, Brits, etc. etc. (“raze the Roma camps to the ground” shouted hate-filled Matteo Salvini, leader of Italy’s Northern League). Surely there must be someone, somewhere who recognizes who’s really to blame for our dwindling bank accounts, shrinking salaries and flourishing food banks? Not to mention our depleted planet and rabid greed that keeps 95% of the worlds wealth in the pockets of about 1% of the global population. (Note to self: check statistics). But that’s another story. The story on my desk that caught my eye was this delightful one. 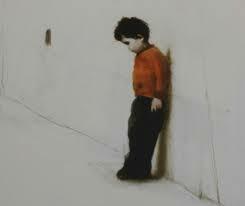 Noi (us) written by Elisa Mazzoli and illustrated by Sonia Maria Luce Possentino. But don’t worry, you can read on. It has nothing to do with politics or capitalist corruption. 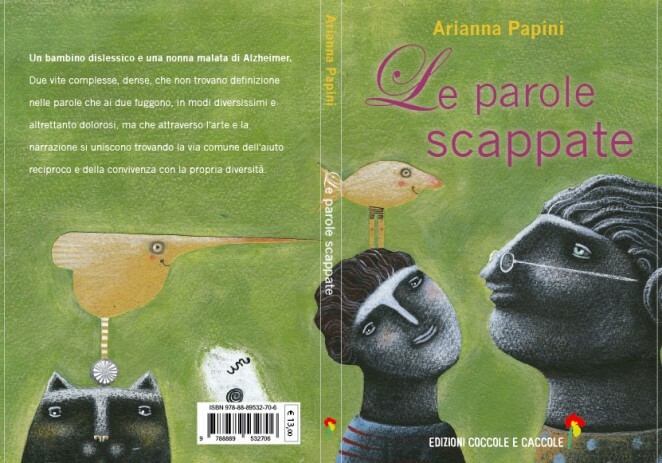 It’s simply a compassionate, poetic story, written in Italian, about children learning to see beyond diversity and make friends with the wonderful people they find behind the barriers. Barriers that we ourselves raise because we’re scared of what’s different. Because we want to protect what’s ours. Only by doing that, we often don’t realize what we’re missing out on, or what we’re not seeing. We call him Big Eye. the normal one, kind of disappears. Sticky drool dribbles from his big eye. It’s a slimy trail just like the one snails make. the world, the sky, the sea. about the snail that was looking at us with its feelers up. We laughed, and we got our hands dirty. Two boys who once thought of each other as “them” and “us” end up digging in the dirt for secret treasure. Together. They discover all the things they didn’t know that the “other” does. They discover the joy of sharing. They find time for “us” instead of them. They realize that it’s more fun to work together. Now I feel all warm and fuzzy. 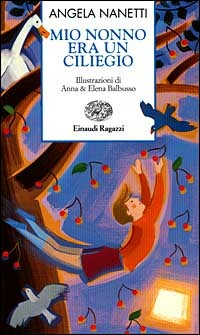 Thanks to Elisa Mazzoli and to Bacchilega for publishing this wonderful picture book. You can also buy it here. And no, I’m not getting any commission for this. I just loved the book a lot. It made me feel good again. 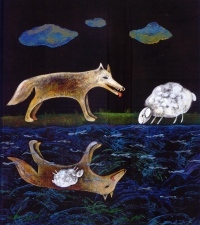 In keeping with the kind of day I’ve had in lovely, wintery-for-once Abruzzo, this week’s proverb is going to be about the weather. But not the one pictured. 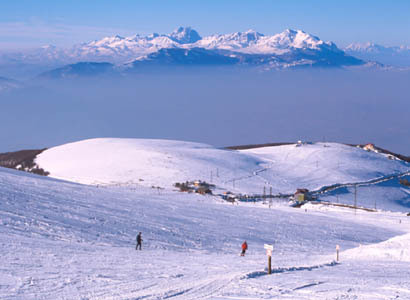 Our Maiella mountain does look like that sometimes, and I can highly recommend taking a trip up there for some downhill skiing, snowshoeing, sledging, snowmobiling, ski-mountaineering, or wait for it, even ice-running (which I discovered in Abruzzo). Oh, and you don’t have to be sporty to enjoy it, you can even just spend a few hours in front of the log fire in the ski chalet, with a hot chocolate – rum punch – red wine – coffee (delete as appropriate) in hand, chatting to the wee old man from the soccorso alpino who I don’t think actually does much Alpine life-saving, more like chin-wagging and grappa-supping. But he’s happy to fill the wait for your polenta, sausages, pasta or arrosticini lamb skewers with action-packed stories of life on the wrong side of snowdrifts, avalanches, blizzards, blackouts… you name it, he’s been through it. This is the first in my new series of off-the-cuff, having-a-break, flash translations. Rooting around on my bookshelves, I found this. 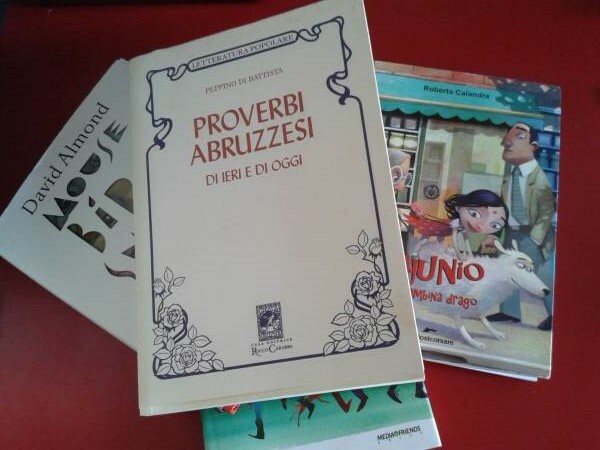 PROVERBI ABRUZZESI. I IERI E OGGI. 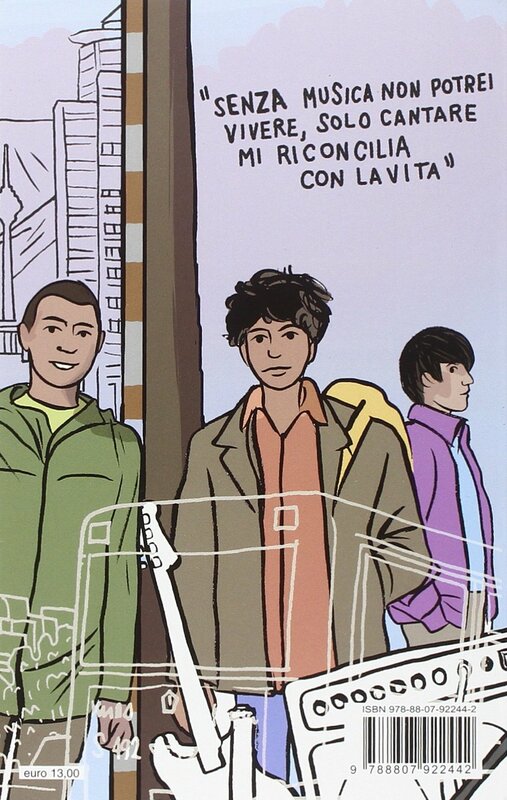 2000. by Peppe Di Battista, published by Rocco Carabba. Proverbs, well you can’t get shorter or pithier than that, I thought. I like it this a lot, and might even think about learning the Abruzzo dialect to use it as my excuse-du-jour when OT asks how the savings fund is coming (or not) along. Bòtte e panèlle, fa le fije bbèlle. Percosse e pane, fanno i figli belli. Blows and bread make for beautiful children. Pane e mazzate, fije aducate. 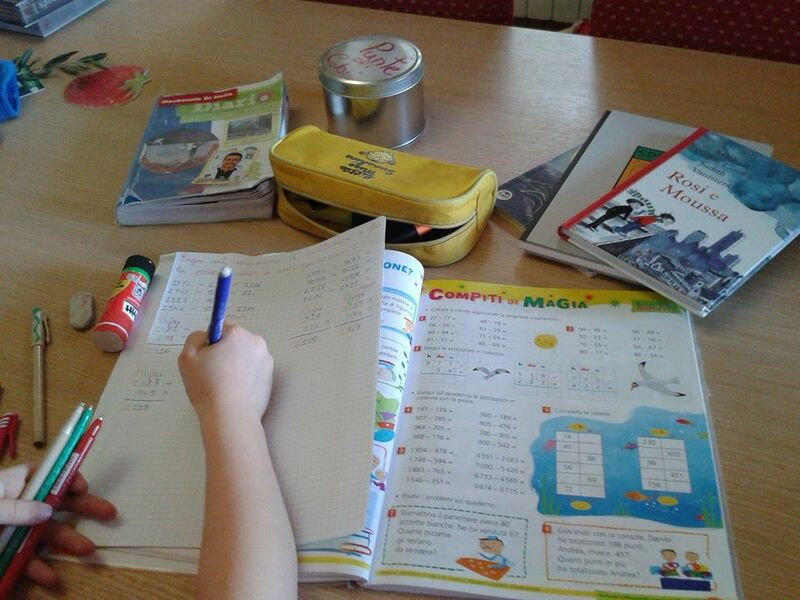 Pane e bastonate fanno i figli educati. Bread and blows make for well-behaved children. Back soon with some more.